Exfanding Your Horizons: The Avengers Have Arrived! After surviving a Dragon Age and petitioning to be a Trekkie, my brother-in-law has returned to address a topic that has been shockingly absent from this blog so far. The movie I have been waiting on for 5 years now. The AVENGERS HAVE ARRIVED…and I could not have been more pleased! If you recall an earlier post I explained the Marvel Cinematic Universe, a Horizontal Universe that includes The Incredible Hulk, Iron Man 1 & 2, Captain America, and Thor. These movies have not only done a successful job at creating wonderful stories on their own, but they have been building up to the moment at hand! Joss Whedon, creator of Buffy the Vampire Slayer, its spin-off Angel, Firefly and Dollhouse (all wonderful TV shows), was the brilliant mind behind the direction of The Avengers. 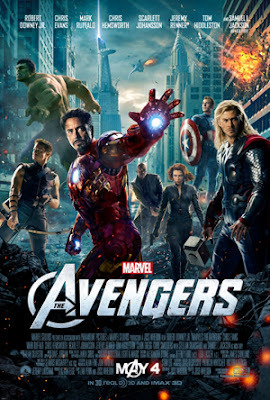 Joss Whedon not only did this movie justice, but no movie has ever catered to its fan base better than this one! There is currently no better movie in existence! How many people have ever gone to a movie and clapped aloud, almost every 10 minutes? The theater erupted in a sea of colliding hands and a roar of laughter almost constantly throughout the movie. Movies have always been an enjoyable time for me, but this movie will be remembered as one of the most enjoyable experiences of my life. This may seem like a very weighted statement, fueled with the euphoria of just seeing a wonderful movie, but hear me out. The superheroes featured in this movie are as follows: Iron Man, The Hulk, Captain America, Thor, Hawkeye, and The Black Widow. Whedon did a wonderful job of showing Iron Man fans exactly what they were expecting to see from Iron Man. In addition, he did a wonderful job of showing Hulk fans exactly what they wanted to see from the Hulk. This was the case for every hero shown. Even more so, no one hero was featured above the rest. It is unbelievable that although it all seemed to be building to this, more is yet to come! Iron Man 3, Captain America 2 and Thor 2 are already in production and the Avengers 2 was announced. Not sure my body could physically handle the geek-spasm I had in the theater! All in all, go see The Avengers. I recommend seeing the other 5 MCU movies first, but do yourself a favor and enjoy one of the best movies of all time!